Buy hot selling popcorn production line - Shandong Leader Machinery Co.,ltd. 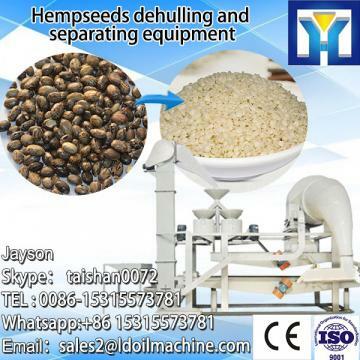 This machine is applied to dry and puff the corn, crispy rice ball, corn flakes, etc. It is equipped with compelling ventilation heating system, inner layer air flow baffle, accurate temperature control, and thickened insulation layer. Its advanced technique provides all the necessary functions in low power, high heating efficiency, low running cost, and less machine maintenance. lIt is the first developed screw type continuous high-temp dryer in China. lConstant speed flow puffing tank can assure the material drying evenly. lAutomatic compelling ventilation heating system can make low power and high heating efficiency. lAccurate temperature control assures the drying stably. lIt can sift waste material automatically. For the whole hot selling popcorn production line,warranty is 12 months,within 12 months,if have equipment quality problems,we will provide accessories freely. After the expiration of the warranty period,if have spare parts problem,we only receive the cost of required replacement parts.We commit we will provide free technical support of equipment all whole life. Our company has engaged in producing and exporting hot selling popcorn production line for many years, and until now, our machine has exported to overseas market, such as Brazil, India, Indonesia, Russia, Thailand and so on, and get the foreign customers' unanimous praise. We believe that you purchase Shandong Leader Machinery Co.,ltd. hot selling popcorn production line is your best and sensible choice.